Regional residents who are seeking optometrists in or around Medford, MA will no doubt want to try Parrelli Optical. Ocular specialists at the facility are excellent at diagnosing various eye-related problems. Patients will leave their initial examinations with a viable treatment plan. Eye doctors can ensure that individuals with vision problems are prescribed the proper lenses. With their eyesight markedly improved, patients can once again take part in their normal activities. If surgical work is needed, men and women can meet with their optometrist to discuss the details. In most cases, visual impairment can be corrected with a durable set of glasses. Individuals who have been wearing glasses for many years might choose to try contact lenses instead. Because some individuals will require glasses for driving, they will need to procure the appropriate lenses as soon as they can. All of the optometrists associated with Parrelli Optical are experienced and skilled. Once patients have been given their eye exams, one of the doctors will begin to develop a plan of action. In some cases, of course, men and women may need bifocals. Having made sure that they can see clearly while reading, driving, and performing other vital activities, patients should be able to continue on with life as they always have. Regular trips to the optometrist will ensure that their eyes remain in great shape. 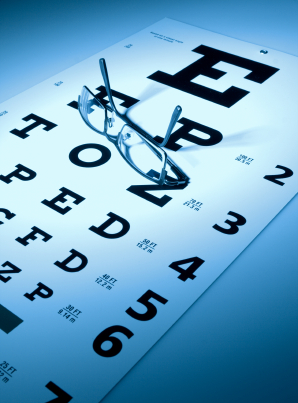 Individuals who are having vision problems should ultimately make an appointment right away. At Parrelli Optical, flexible schedules are the rule. Once local residents have met with the best optometrists in or around Medford, MA, their eyes should surely remain healthy in the months and years ahead.